Senator Chuck Grassley says he was notified last Friday that a Long Island, New York man had been arrested for making a threat against him. 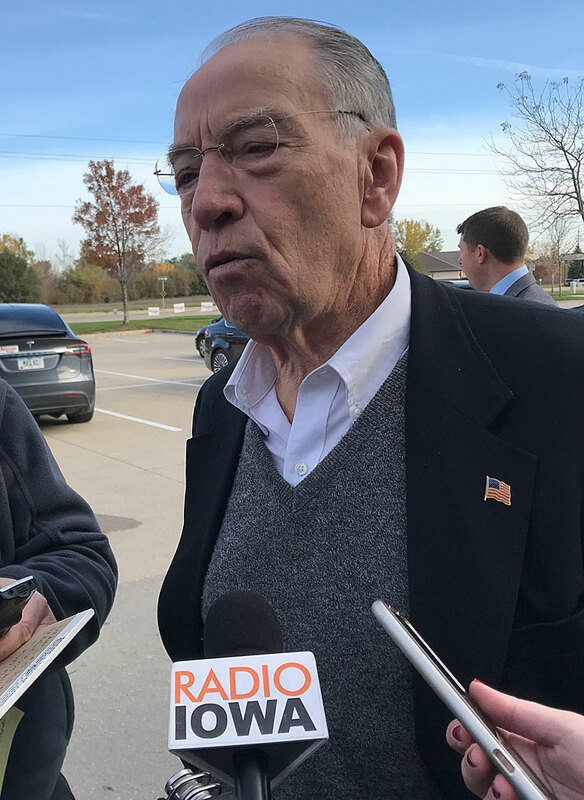 “This is the first I knew about it, but evidently back around Labor Day, our offices in Sioux City and Cedar Rapids got an anonymous phone call from…one person who said: ‘We’re going to kill Grassley,'” Grassley says. Grassley has been an elected public official since 1959. He served in the state legislature for 16 years, then won elected to the U.S. House in 1974. He’s been serving in the U.S. Senate since 1981. “I don’t think enough about my safety and I should. I think all of us in public life should and maybe even our family should,” Grassley says. Grassley cites the harassment fellow senators Ted Cruz and Mitch McConnell got when they went out to eat in the DC area with their wives. “There’s a lot of incivility in our society and sometimes the kind of ‘mob rule’ that went on during our Kavanaugh hearing kind of backs it up,” Grassley says. Court records indicate the New York man who was arrested a week ago for threatening Grassley’s life also made threats over the phone to Senator Susan Collins of Maine.